We’d love to see your photos from the day and to follow the journey of your beans as they grow! Do share your photos with us over on social media or drop us an e-mail by clicking here! All of our Easter activities are included with garden entry. To plan your perfect Easter day, please see our full event details below. The Barn will be open for two sessions, 11am-1pm and 2pm-3.30pm daily. Come along to meet our new-borns, delight in the fun of the lamb nursery, and to watch the maternity enclosure to perhaps catch sight of a magical birth! With 41 lambs due to arrive its going to be a special time to visit, to experience new life emerging. Heligan’s newly hatched chicks and ducklings will be on display opposite The Barn to really put you in the Easter mood. These cute and fluffy bundles are sure to delight and as they grow and their feathers emerge, they will eventually join the rest of our poultry in our beautiful orchard. We will be welcoming some new breeds to Heligan…come along to meet them to find out which breeds we are welcoming and all about how our breeding programme helps to protect them. Heligan’s Home Farm looks forward to welcoming all of our adorable new arrivals that are due this Spring and invites you to come to meet them in The Barn and paddocks over Easter. As home to over 18 rare breeds of livestock and poultry, the breeding season is always an exciting time as we welcome unusual and at-risk animals to the farm as part of our conservation breeding programme. Explore and learn what you need to ‘grow your own runner bean’ this Easter. Wander through the gardens and collect the essentials to grow your own Runner bean plant at home! Collect a plant pot, a label, a sunshine and a drop of water from our trail points and bring them to our Easter marquee and complete your task to plant your very own Runner Bean to grow at home. Hand in your sunshine and drop of water and you will receive a small chocolate prize! Hand in your sunshine and water to collect your small chocolate prize. Complete your ‘Grow your own’ trail and plant speedy Heritage (Painted Lady) bean. Take your pot home, look after it, make sure it has sunshine and water and by the Summer you will have yummy green beans to eat! Transform yourself into a cheeky piglet, a spring lamb or an Easter bunny by creating your very own headdress. Decorate your very own sheep pebble! 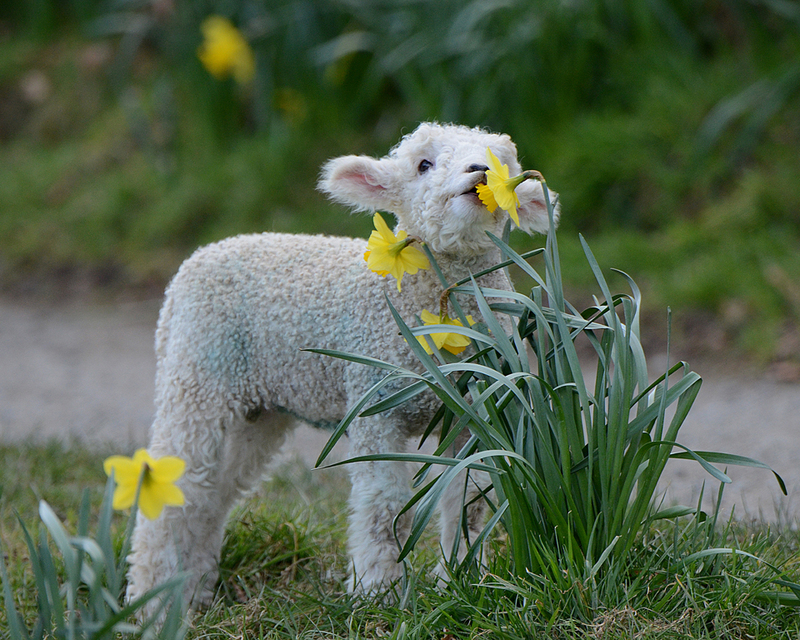 Be inspired by our own Heligan sheep. White, brown, long-haired, cute ...what will yours look like? Enjoy our mini piggy table top obstacle course game – weave your pig through the muddy farmyard to get them home for feeding time. Try your hand at ‘Highland Cow Horn Hoopla’ – how many hoops will you land on the cow’s horns? Quack Quack! Have a go at Hook ‘a’ Duck, how many can you collect? 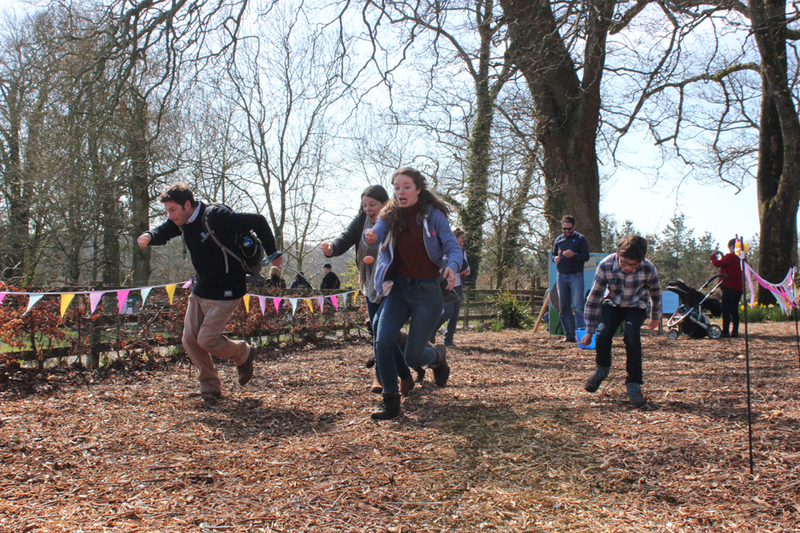 Challenge your friends at our Heligan Hobby Horse Derby, complete with jumps and obstacles! Gather your family and friends for a classic race of egg and spoon! Who will be crowned egg champion? Enter our family fun sack race, who will bounce, stumble or fall over the finishing line first? The Easter family fun includes your faithful friend too! A fun assault course awaits dogs and their owners. Can you fly over the jumps? Wiggle through the cones? And can your pooch make it through the tunnel?